An electronic flash, also known as a strobe, is a convenient source of very bright artificial light that can be attached to, or even built into, a camera. In conventional cameras and mainstream photography, the electronic flash is based on a xenon gas-filled glass tube, which emits a very brief but very bright flash of light when a high voltage is passed through it. Xenon flash is good for freezing action because the flash duration is very brief – typically thousandths of a second. Xenon flash was preceded by disposable bulb flash units with glass bulbs filled with thin filaments of wire, which oxidised rapidly when triggered, burning brightly and briefly. Today, xenon flash has relatively new competition in the form of LED ‘flash’, primarily for camera phones. LEDs, or light-emitting diodes, are actually constant light sources that are switched on and off with a short duration to emulate a conventional flash. LEDs are not as bright, so the ‘flash’ duration needs to be longer, which means they are not so good at freezing action. For this reason, some upmarket smartphones incorporate both a xenon flash and an LED flash. The LED can be used for constant illumination for focusing and as a video light. Conventional xenon flash units or guns are now incorporating an LED light source for the same reasons. The brief duration of a xenon flash is both a benefit and a headache. It is a headache because there is a shutter speed limit for successful synchronisation of a focal plane shutter and a xenon flash. However, there is a way around this, variously referred to as FP or focal-plane flash. Put simply, the flash unit flashes on and off at a high frequency to become a pseudo constant light source – at least for the fraction of a second that a focal-plane shutter needs to make the exposure. 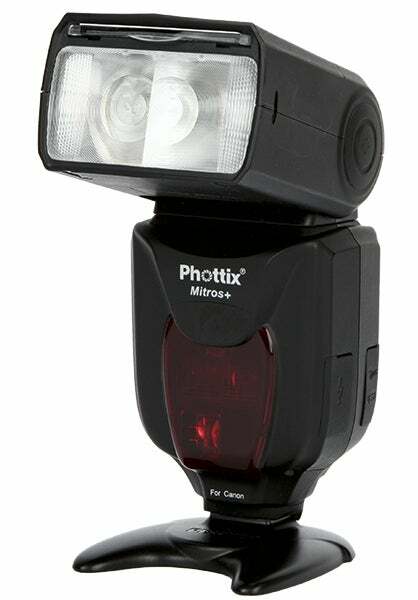 FP flash sacrifices brightness but enables a focal-plane shutter to be used at any shutter speed setting.